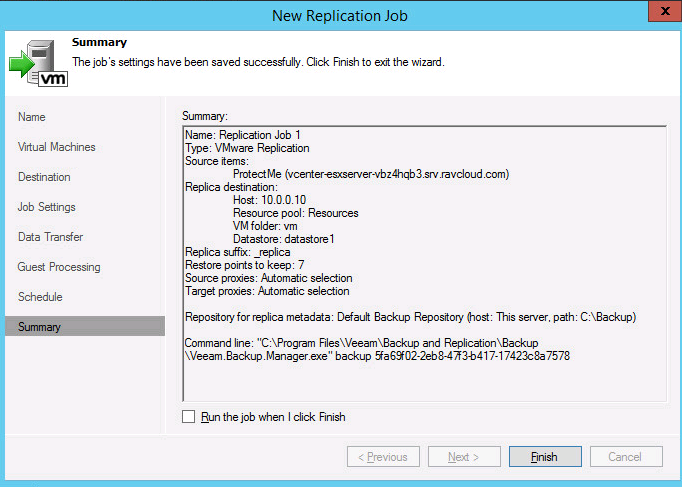 I was able to use the same 2008R2 ISO and install in an ’empty’ ravello VM and have fired up that VM just fine. Current annoyance, mouse pointer offset issues inside the ravello console. I’m going to open it up so that I can just RDP in and that should take care of that. Ok, so I RDP in an loaded the Client and then connected, and do you know what… it actually loaded the OS…. Ok, I have been able to replicate this. I went to build another machine name ‘ProtectMe’ with the goal of replicating this over to the other ESX server. I’m still getting the ‘stuck’ black window when trying to initially load the OS from the ISO. Now I’m going to connect to the console from a ‘local’ server VM on the local 10.x scheme. Yes, now all the sudden the console starts responding! Very, very strange.Well now that I have some working OS’s I’m going to install veeam on the one, and use it to replicate over to my second esxi server. 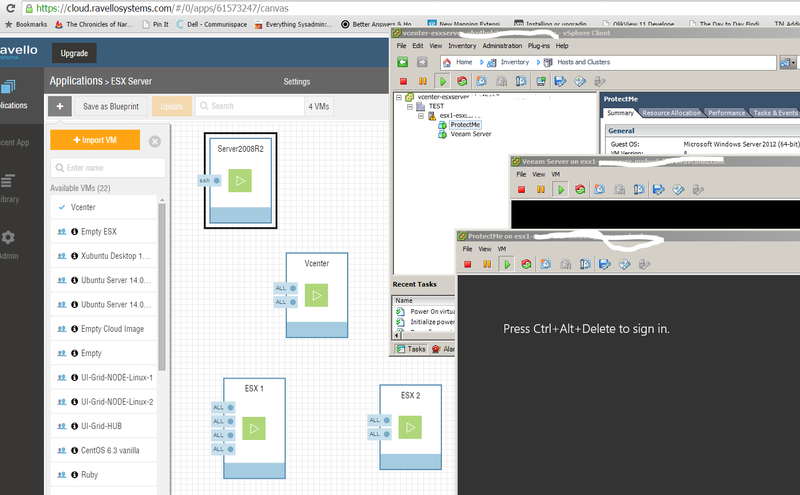 Now I’m going to configure a replication job of my ‘Protectme’ VM over to the second esx server. 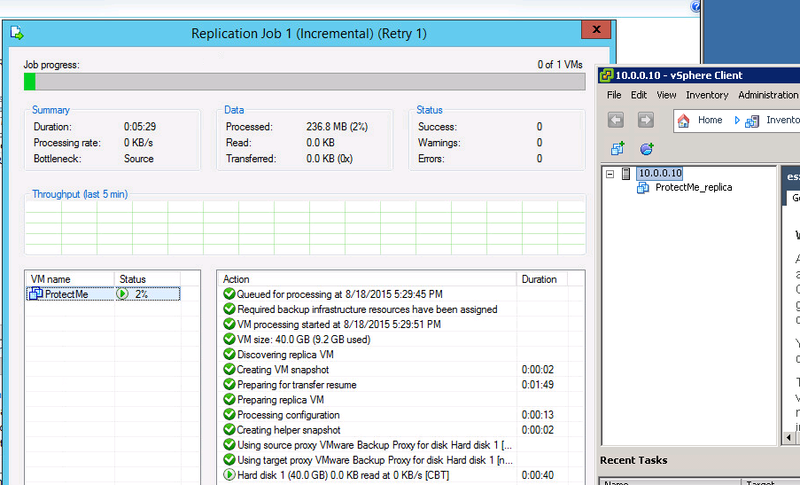 And then I fire off the replication… This is it creating a replica from esx1 over to esx2. And there you have it ladies and gents, a little bit of Ravello and a little bit of veeam! I’m having the same issue. I have even tried connecting to the esxi host from a vm running server 2012 r2 running natively on ravello but I still cannot get the VM I’m trying to install on my nested esxi host to get past the black screen no matter how I mount the server 2012 iso to it. Any suggestions?